Nearly one-third (31 percent) of annual giving occurs in December. Maybe it’s the aftereffect of that warm peppermint mocha or simply being moved by the “holiday spirit,” but the fact is that people often feel more generous at this time of year, and that extends to philanthropic giving. Following the massive commercial expenditures made on Black Friday and Cyber Monday, 2.4 million online gifts were made on this year’s Giving Tuesday on November 28—a reflection that people are thinking beyond the names on their holiday shopping lists. Most nonprofits rely on generous fundraising support to maintain their operating budgets, so the last month of the year is an extremely critical time. Imagine if one-third of the income you used to pay your rent and utilities throughout the year only came in the month of December! 12 percent of all giving happens in the last three days of the year. I once worked with a donor who made his annual gift every year on the same day—December 31, and never any sooner. Some people just aren’t ready to think about charitable giving until after their holiday festivities have passed. And it’s not necessarily procrastinating when you haven’t had a chance to finalize your personal tax situation until the final days of the year—another reason to pull out the checkbook before the ball drops in Times Square. Charitable donations can be great gifts, too. Do you have someone on your shopping list who is particularly tough to shop for? What do you get the person who has everything? Most organizations (including the University of Redlands) allow you to make gifts in honor of or in memory of an individual. If your friend or loved one has a passion project or cause about which they care deeply, a gift to that organization in their honor may be just the right gesture. Every gift matters (seriously). Some may fear that their modest gift in the last few days of the year might not make a difference. However, when considered cumulatively with other donors, these gifts most certainly do matter. For example, during the University’s 2016-2017 fiscal year, more than 2,400 donors gave nearly $131,000 in gifts of $100 or less—equivalent to 26 Redlands Fund Scholarships! Those 26 students are supported by financial aid be made possible only because enough $25, $50, or $100 donors believed their gift was important. So while you sip your eggnog and finalize your holiday plans, remember to support your favorite causes. Many organizations that make a difference wouldn’t get far without you. 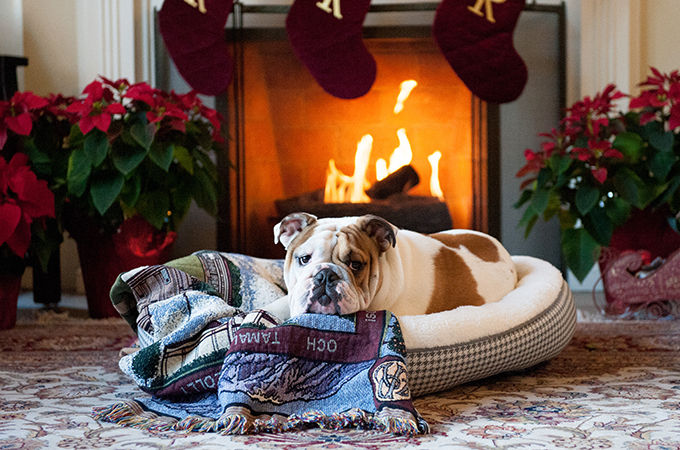 To make a year-end gift to the University of Redlands, visit www.redlands.edu/givenow or contact the Office of Annual Giving at 909-748-8068.